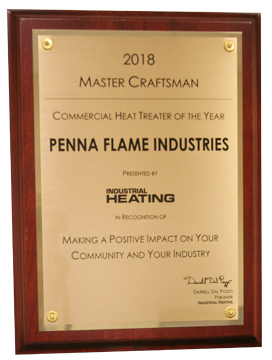 receives 2018 Commercial Heat Treater of the Year Award! Serving the steel, mining, railroad, machine-tool, automotive, and other varied industries, Penna Flame Industries has been meeting your diverse surface hardening needs since 1968. You will experience ideal communication that is responsive to your needs. You can expect the highest level of quality and repeatability when you trust us with your products. We are always aiming to exceed your expectations! Our average turnaround is 4-6 business days but this could vary depending upon the process required. For more specific turnaround times, based on the process required, please refer to each individual page: Flame Hardening, Robotic Hardening, Added Manufacturing, Furnaces/Cryogenics, or contact a member of our customer service team. Contact us and let us know how we can meet the specific requirements of your job. 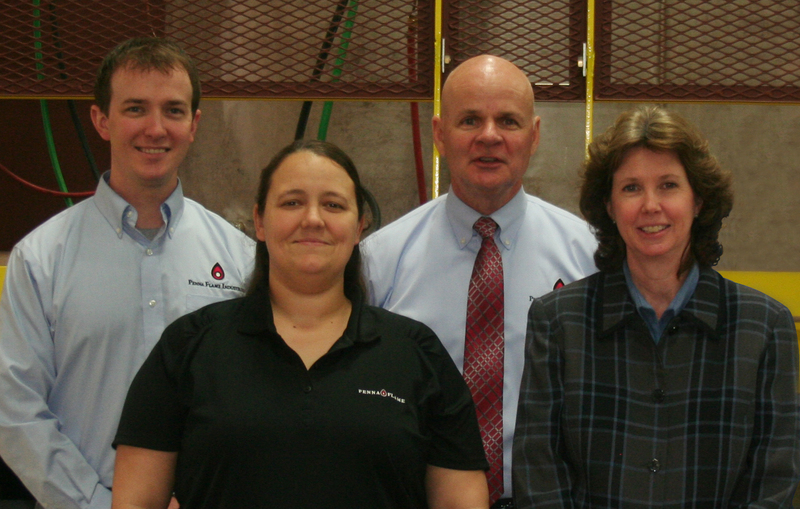 Our sales team is ready to discuss your surface hardening requirements today. to complete your heat treating project on time and to your desired specifications! New robotic induction machine hardening a part to our customer's specific requirements. Offers Precision, Reliability, And Quick Turnaround! 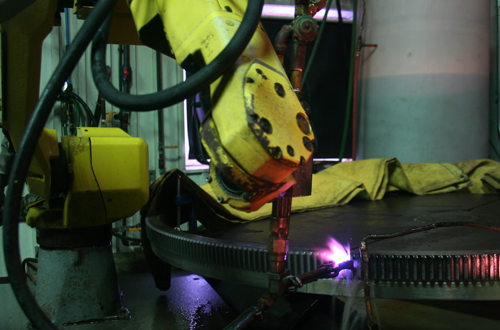 Penna Flame leads the industry in using advanced robotics capabilities to precisely and consistently flame harden or induction harden steel parts to your specifications This process improves wear resistance and increases the longevity of the part. Plus, by using robotic flame hardening and our newest advanced robotic induction hardening, we can turn around your high-quantity project faster than ever before, while maintaining consistency throughout the run and saving you money on your bottom line in the process! Fill out the form below for this helpful guide on how to select a surface hardening partner. 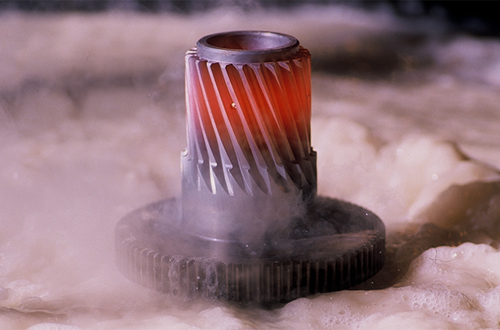 We offer progressive, spin, and progressive spin flame hardening, which provide quick, economical and selective hardening of your parts to ensure increased wear resistance and longer life. We have the latest temperature measuring equipment and five large ovens that are capable of heating / stress relieving parts up to 1,250ºF. These ovens, coupled with digital recording technology, ensure complete accuracy and traceability. Our computerized robotic surface hardening systems have revolutionized the surface hardening industry! 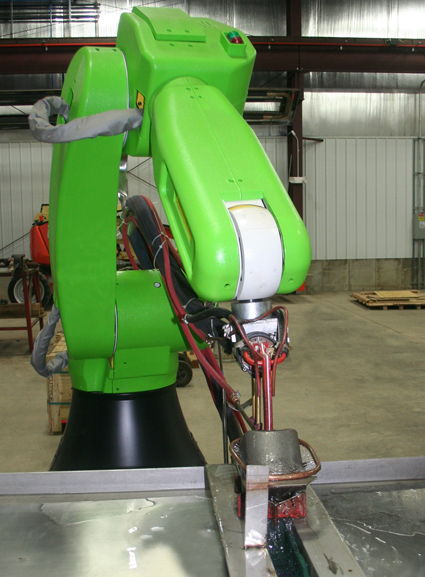 Our advanced robots, coupled with programmable index tables, provide an automation system that helps decrease production time while maintaining the highest quality in precision surface hardening. 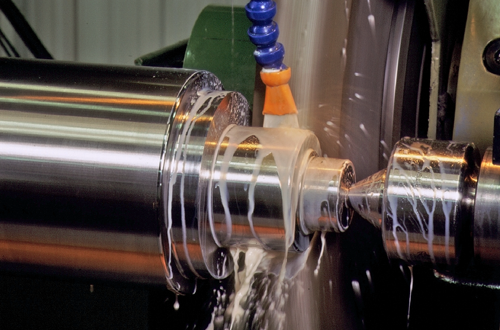 Typical applications include rings, complex gears, bearing assembiles and high volume production orders. Penna Flame brings you a new generation of robotic induction surface hardening applications that utilizes the principle of electromagnetic induction to heat the surface layer of a part and harden it to your specific requirements. This new process enables us to handle larger volume runs faster and more cost-effectively than ever before and you get the same precision and reliabilty as with our other flame hardening processes! Penna Flame's manufacturing division can meet your roll processing needs, as well as other types of precisely machined and tooled parts and supplies. When you combine this capability with our heat treating applications, you get a complete end-to-end process that can save you time and money by having it completed at one time and in one location. We're committed to reliability, dependability, and personalized service from beginning to end. As the newest member of the Penna Flame team, having come on board in November of 2016, I’m excited about this new business opportunity. 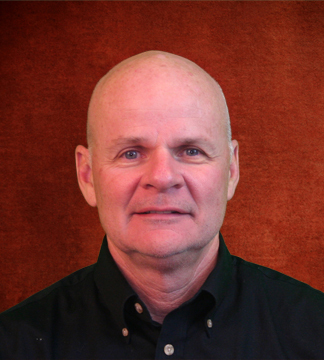 I was brought in by James P. Orr (Jim) to assume his role as President of the company as Jim took on the role of CEO. My primary responsibility at Penna Flame is to oversee the operations of the company. 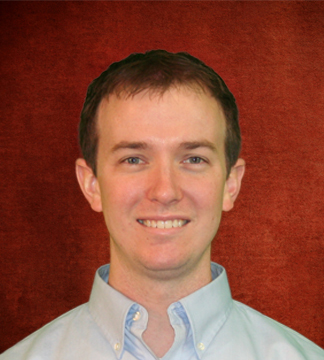 Jim plays an active role by providing the strategic vision, monitoring resources, and ensuring the continuation of Penna Flame’s unique culture and commitment to its customers. I have 30 years of Senior Management experience working with various companies in all areas including but not limited to sales, operations, marketing, customer relations, finance, and warehouse logistics. I’m truly excited to bring this experience to Penna Flame as we transition to the next generation of the Orr family, who will lead the company. Michael Orr, who plays an integral role in the manufacturing side of the business and Andrew Orr, who manages sales and marketing, are slated to take the helm, and I look forward to helping them write the next chapter in the amazing history of this company. In addition to my extensive business experience, I have a degree in law enforcement and I am a proud Navy veteran. When not working, I enjoy spending time with my family, friends, camping, hunting, and fishing. I really enjoy working with our customers. I’m one of several people who answer the phones so I may be one of the first people our customers talk with when they call our office. I’ve been with the company for two years and my current position is Customer Relationship Specialist. The title suits me perfectly because I assist with almost every aspect of a project. I quote customer inquiries, process orders, monitor job flow, problem solve issues, schedule deliveries, and anything else that’s needed to deliver the project. When a customer needs to know when their parts will be shipped, I’m the one to find that out and relay that information to them. 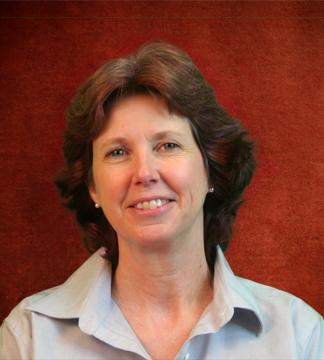 I feel that my interpersonal, organizational, and problem-solving skills help facilitate projects through the company. In today’s fast-paced business environment, customers need their jobs more quickly than ever before, and I work diligently to make that happen. Prior to Penna Flame, I worked at Verizon for seven years in customer service. 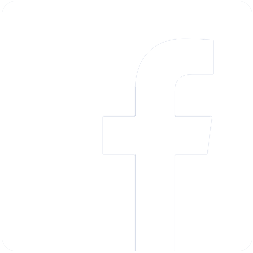 I have an Associate’s Degree in Biological Science from the Community College of Beaver County. I enjoy volleyball, competing/trail riding my horses with my daughter and skiing as a family with my husband, daughter, and son. I’m excited about the opportunities that lie ahead for the heat treating and manufacturing industry. As President, I will be closely involved with my sons, Mike, V.P. of Manufacturing, and Andrew, V.P. of Sales and Marketing, to continue to deliver outstanding value and service to our customers, and to maintain our position in the industry. My father, Garrett D. Orr, Sr., founded Penna Flame Industries in 1968 to provide flame hardening services to the growing steel industry. Garrett chose the Zelienople, PA, site because it was centrally located between Pittsburgh, PA, and Cleveland, OH, which was then heavily into steel manufacturing. Over the years, I have continued my father’s legacy by adding new technology and innovations in surface hardening and roll manufacturing. I began my career at PFI at the young age of eight when I fell into a foundation ditch and that pretty much cemented my relationship with the company. When I was young, my father would take me with him to work. Fortunately there was a MacDonald’s along the way for breakfast, so it seemed like a pretty good deal for me. Since then, I have worked in every facet of the business, from cleaning the office, to production, sales, and marketing. In 1981, I began work full time and in 1990, was appointed President of the company. What I enjoy most at PFI is working with our customers and helping them meet their specific needs in heat treating, flame hardening and manufacturing. I work diligently with them to resolve any concerns they may have. I also enjoy working as a mentor to the next generation to build the company and continue the amazing strides we’ve made in the industry. I've been a MTI Member for 20+ years and am currently on their Board of Trustees. My interests include cycling, construction, and travel. Our customers are my first priority and that’s what makes my job so rewarding. When they call, I most likely will be their first contact to Penna Flame so I want to give them a warm, friendly welcome that represents the family-type environment we have here. It’s really nice chatting with customers we’ve had for many years…they’re like old friends. There are quite a few people who’ve been with the company a long time. I’m one of them. 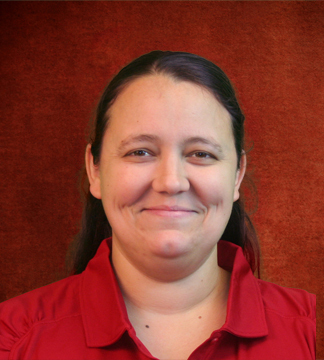 I’ve been with Penna Flame for 19 years and am currently Customer Service Manager. My responsibilities include answering incoming calls, processing orders, scheduling shipping arrangements, answering questions, and managing the accounts receivables. I continually strive to facilitate a customer’s order from the time it comes into the company until it ships and is out the door. Sometimes this requires a lot of juggling which I’m very good at…ensuring that all of our customers’ needs are met on time and to their exacting specifications. Prior to Penna Flame, I worked at a transportation company for several years in the Zelienople area where I grew up. I still live in the area on a 60-acre piece of property with my boyfriend, my four horses and two dogs. I enjoy camping with our horses and reading mysteries. It’s really amazing being part of a company that my grandfather founded and built so many years ago. His legacy has continued with my father and I’m honored to be a part of the next generation to carry out their vision and mission. As the son of Jim Orr, I’ve literally been part of the company for quite some time…in fact, all of my life. I can’t remember a time when I wasn’t doing something around the office. I may have started emptying waste paper baskets as a kid, but I quickly progressed to more responsible positions. I worked in outside maintenance in my teens, and at 17-years-old was trained in flame hardening. When in college, I worked at the company during breaks and over the summer. In May of 2009, I graduated from Penn State Behrend, in Erie, PA, and received my Bachelor’s Degree in Business Management. Two days later, I started full time at Penna Flame in sales and customer service. Seven years later, in November of 2016, I was promoted to the position of Vice President and now work primarily in sales and customer service in the area of flame and induction hardening. I really enjoy working with our customers and educating them on the various ways we can help them based upon their particular materials and specifications. 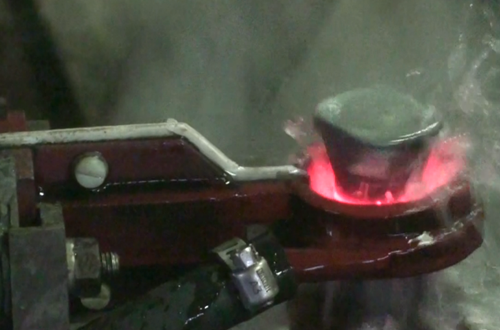 For example, a company came to us for a project to heat treat a large cam ring that goes into a hydraulic motor. It was a difficult piece to harden. Fortunately, with our technology and process control, we were able to provide the precision and repeatability they needed and they became a great customer of ours. That’s the kind of challenge I enjoy when I can work with a customer and exceed their expectations. During my free time, I enjoy golf and snowboarding. I’ve also been skydiving three times, which I enjoyed very much… but please don’t mention this to my parents…they're not big fans!